NEW ORLEANS, LOUISIANA: New Orleans celebrates its 300-year birthday in 2018 and with it comes a ton of history. One experience sharing in that history is the NOLA’s oldest local tour company, Royal Carriages, who has been giving visitors the tours of their lives since 1941. In fact, Royal Carriages was presented with the 2018 Louey Award, the Louisiana Attraction of the Year by the State’s Lieutenant Governor, William Nungesser. The perfect birthday gift after 77 years in business! 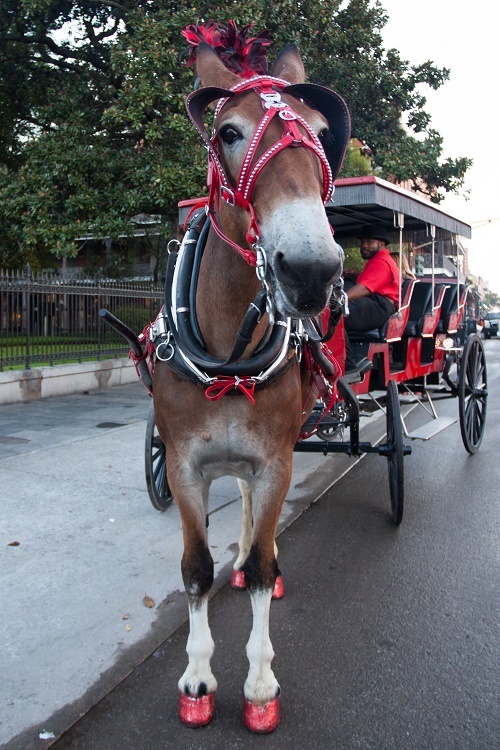 If you’ve visited the Crescent City, you’re sure to have seen Royal’s mules and carriages taking tourists on tours from history rides, cemetery visits, weddings, special ‘proposal’ events, and spooky nighttime ghost tours. Ghost tours are extremely popular. In addition to being a ton of fun, these tours continue late into the night after the walking tours stop at 10pm. Despite being old hands guided tours and experiences, Royal Carriages is not afraid to try new out new strategies or ideas. As such, in 2017, Royal partnered with TripShock as the first OTA they’d ever worked with. According to Director of Marketing, Nancy Landry, TripShock has really helped Royal Carriages’s business grow in the past year. Royal Carriages cares for over 150,000 visitors each year. More than just a tour company or an attraction, Royal is connected to the daily culture that makes both New Orleans and Louisiana a unique and exciting place to live and visit. It’s great to see the premier and oldest attraction company in New Orleans partnering with one of the Southeast’s premier OTA to stay ahead in the Crescent City’s next 300 years.